The Hundredth Queen (#1): As an orphan ward of the Sisterhood in the ancient Tarachand Empire, eighteen-year-old Kalinda is destined for nothing more than a life of seclusion and prayer. Plagued by fevers, she’s an unlikely candidate for even a servant’s position, let alone a courtesan or wife. Her sole dream is to continue living in peace in the Sisterhood’s mountain temple. 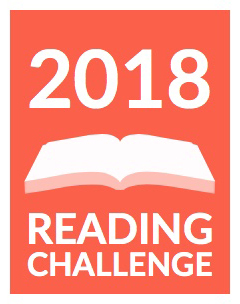 Short Review: I got book 1, The Hundredth Queen, through the Kindle 1st program, not knowing anything about the book or the author. I absolutely loved it, 5 STARS. I thought the characters were compelling, the plot captivating, and the magic system interesting. I immediately pre-ordered book 2. The Fire Queen (#2): Though the tyrant rajah she was forced to marry is dead, Kalinda’s troubles are far from over. A warlord has invaded the imperial city, and now she’s in exile. But she isn’t alone. Kalinda has the allegiance of Captain Deven Naik, her guard and beloved, imprisoned for treason and stripped of command. With the empire at war, their best hope is to find Prince Ashwin, the rajah’s son, who has promised Deven’s freedom on one condition: that Kalinda will fight and defeat three formidable opponents. Short Review: You know how middle books in many series are mostly connectors between book 1 and book 3, but don’t have a full plot on their own. Not this one! I also loved this book. Kalinda is learning to understand and control her magic, and that’s not always pretty. Again, I couldn’t put the book down. The only negative was a bit of disconnection when jumping from one POV to another, but not enough to keep me from recommending it. 4 1/2 STARS. Book 3: The Story Continues with Great Characters and Great Plot! I love Kalinda. She is a strong woman and committed to her country. She’s willing to do whatever it takes to free her people. At the same time, she’s a young woman—vulnerable and unsure. Just the kind of character I like to read. During the course of the story, Kalinda must continue to be the force that holds her country together, find support from other countries, fight a demon disguised as her dead husband, Rajah Tarek, and protect her friends and loved ones—all while trying to determine the correct course and who she can trust. 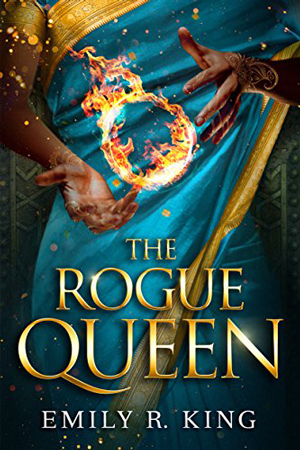 Kalinda is also caught up in a love triangle of sorts—she’s clear that she loves Deven, but to save her kingdom, she might need to marry Prince Ashwin, the Raja’s son. So who does she follow—her heart or her duty to her country? The supporting characters are great. Both Deven and Prince Ashwin have strengths and weaknesses that make them very real. Some of the women who were once Kalinda’s competitors become her allies, and their motivations and loyalties are revealed. There is a lot of travel, political intrigue, and plot turns throughout. We see much more of the political system and the Bhuta magic system. (I took a test and apparently I’m a Burner.) The story is fast-paced and kept me reading long hours into the night because I couldn’t put it down. There is a story within the story early in the book, and I thought it was kind of weird that so much time was spent with it. If you feel that way too, just keep reading. There’s a reason. Note: When I finished the book, I was in a panic because I thought this was a 3-book series. Oh, no! It just can’t end this way!!! It doesn’t. THE WARRIOR QUEEN is already up for pre-order on Amazon. It will be out August 14, 2018. There is significant violence in this book (and the other two). It is a story of people at war. While I would be okay with older teens reading this, parents might want to read it first. There’s some kissing and sensuality, and mild language. I give this book 4 1/2 STARS.